My goal for you is to understand each camera setting such as Aperture, Shutter Speed an ISO and how they will result in awesome images. In this article I´ll talk about the Auto ISO setting in concert photography and explain how to use it. ISO stands for International Standards Organisation and is the standard scale for measuring sensitivity to night. Being a standard means that ISO 100 on one camera is exactly the same as ISO 100 on another camera make or model. ISO is measured in numbers typically ranging from 100 – 6400 and the higher the number more sensitive the camera is to light. To put in layman’s terms, ISO is the cameras sensitivity to light and increasing the value increases this sensitivity. Actually, it’s not increased sensitivity at all, it’s the signal from the sensor that gets amplified more by increasing this ISO value. Increasing this value may seem great so we can shoot in dark situations such as dive bars but this is not without drawbacks. The higher the ISO, the more noise is introduces into our images. Read all about noise, what it is and how to handle it in this blog post. The recommended beginner settings are to use aperture priority mode, and select the smallest number aperture on your lens. This allows the camera to select a shutter speed that will work with this largest opening in the lens that lets in as much light as possible. Next, you will choose an ISO of 1600 and take some test shots in the venue lighting to see initial results. If your shots are blurred due to the movement of the musicians on stage, then you will need to increase the ISO to a larger number, which allows your camera to increase the shutter speed so that movement does not cause blur. ISO is a term that defines the sensitivity of the camera to light, and if you set a low ISO, you need more available light on your subject. Every time you increase the ISO, it means you only need half as much light on your subject for a good exposure. Now this comes with a caveat of course: your camera needs to take acceptable shots at higher ISO’s without “noise” which results in grainy images with some pixels of odd colors in the dark areas. This is due to the increased sensitivity of the digital sensor in high ISO settings which can reveal ugly artifacts that ruin a shot for publication. It is best to test your camera’s response to ISO changes in different lighting conditions, and find which of the ISO choices result in images you want to keep. You can manually set your ISO to that chosen number as a baseline that allows you to manipulate shutter speed and aperture and still remain near zero on the exposure scale (+….0….-) If you start with this baseline, you will not be disappointed when you look at your images after the show. When would you want to use Automatic ISO for Concert Photography? Allowing your camera to make the choice of ISO automatically is an option which helps you along until you intuitively understand the concept of ISO, but you may find that your camera routinely uses an ISO setting that is grainy, noisy and plain ugly. A good compromise in this case is to find a setting in your camera menus that limits the maximum ISO that you will allow even if the camera is set to automatic ISO. Let’s say in your testing of ISO changes in different lighting you find that ISO 2400 is the max setting you will ever feel comfortable using, and anything higher is unacceptably noisy. Set your maximum ISO to 2400 and even if you use automatic ISO, this allows the camera to choose the ISO that works with your selections for shutter speed and aperture, but only up to your pre-set maximum limit. On older digital cameras models, you had to limit ISO to 1600 but with a newer camera body (both Canon or Nikon), you can use 3200 or 6400 without any problems. This is a great development as newer equipment gets better at dealing with ISO sensitivity. What can you do if your camera is not good at higher ISO settings? “Artsy” photos can be the intentional result of using a very high ISO to simulate old-fashioned “film grain” as a fine art technique, so don’t despair if you are starting your rockstar photography career with equipment that gives you noise at high ISO settings. These images look best in Black and White, so convert grainy images to B&W, which will remove the distraction of colored pixels in the shadows. Read my article about Black&White photography here. 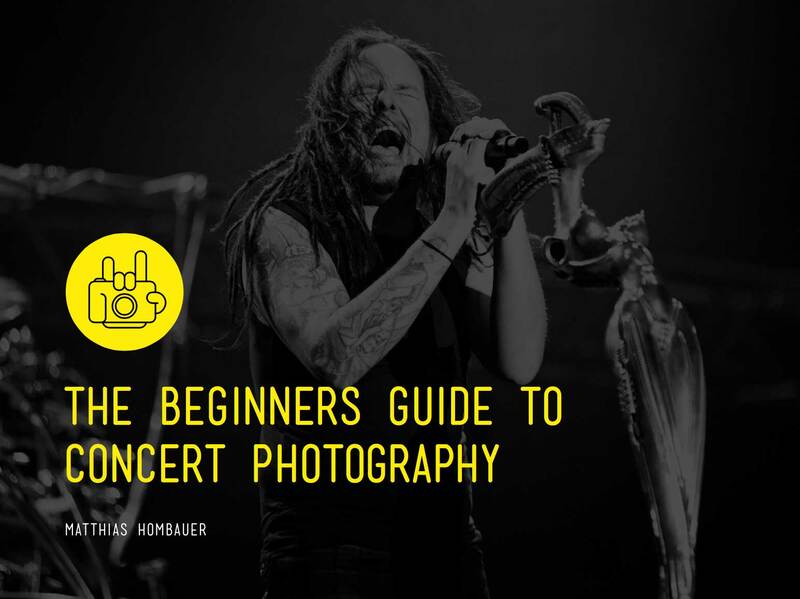 Next, attend some outdoor festivals where you can shoot in daylight, and put together a portfolio of your best images that will enable you to get started in showing your Concert Photography. Eventually you will be able to upgrade your camera to one that handles high ISO like a champion!